Our school is a Silver Enviroschool. This means that we do lots at our school to help the environment. Last week our class was part of the Great Postcard Project. We made some postcards to send to another Enviroschool. 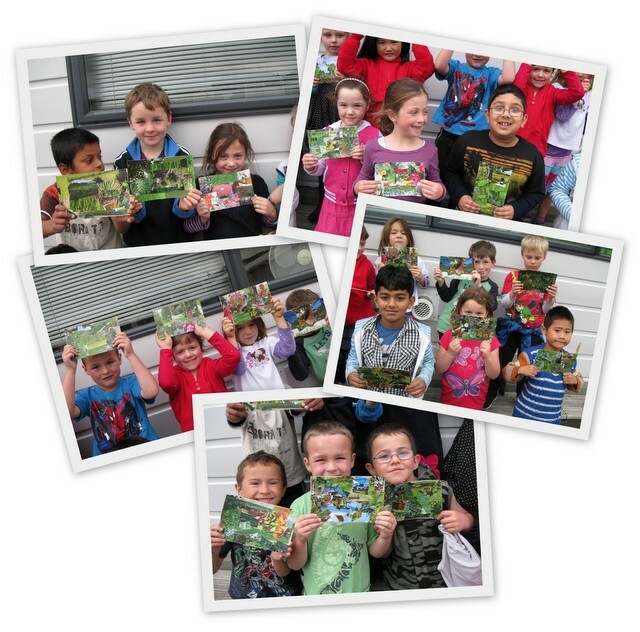 On our postcards we wrote about all the things we do at Eastern Hutt School to help the environment. Using both sides of a piece of paper before we recycle it. Recycling paper, plastic and cans. Picking up rubbish when we see it. Walking or scooting to school instead of coming in the car. Reusing glass jars and plastic containers for other things rather than throwing them out. Turning off the lights when we leave the classroom. Turning off the heater when the classroom is hot enough. Keeping the doors and windows closed when the heater is on. We have solar panels on the roof of our classroom block. We are getting a worm farm to eat our food scraps. We made our postcards by recycling pictures from magazines and then we put them in the post to travel to lots of other schools in New Zealand. We are looking forward to receiving some postcards from other schools and reading what they are doing to help the environment too. Wow- What a great job you have all done B4. I look forward to what you receive back from another school. We will have to try some of these idea out at home - like finding out other ideas to use glass jars for. I love the idea of using both sides of the paper. I love your cards that you collaged.